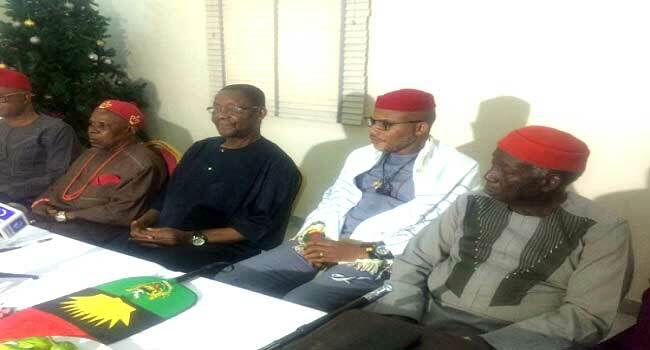 Ala-Igbo Development Foundation had a meeting with Mazi Nnamdi Kanu at Owerri, Imo State on the 18th of August 2017.The president of Ala-Igbo Development Foundation, Professor Uzodimma Nwala said that he was happy that the leader of IPOB honoured his invitation on the first meeting with him. He also made it clear to us that he was glad for hearing the reason why Anambra State election should be boycotted. 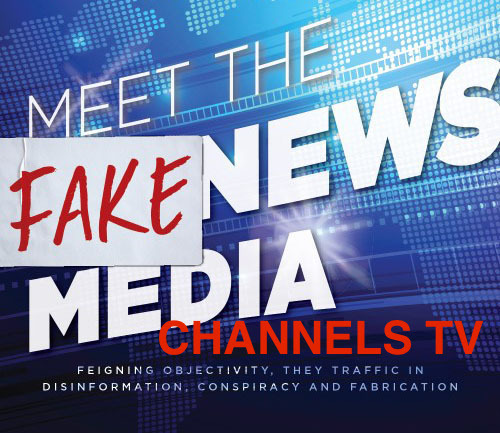 But there are some rumours going on that our Leader has accepted that the election will hold in Anambra State, this is just a rumour from channels TV and punch because they have been paid to lie against any activity of Biafra and her citizens. I know my Director very well, when he says anything, he abides by what he says and he does not just say anything that comes to his mind. He says things that Chukwu Okike Abiama directs him to say. Please, brothers and sisters, ignore any rumour saying that our Leader has approved the Election in Anambra State. Our Elders don't think before saying anything, neither do they behave like elders. I can remember that the so-called elders said that Mazi Nnamdi Kanu is a kid and therefore no one should listen to him. Now they are the same set of people who invited him for a talk on Anambra State election boycott, begging him to stop the boycott of the election in Anambra State. Maybe they forgot that a kid shouldn't be in a meeting with elders. But our leader made us know that he honoured the invitation, not because of anything else but because of the respect he has for our elders and because IPOB is known as peaceful and Obedient family. Ohaneze and Elders of Igboland, this is not the time to beg for election not to be boycotted. Please, you are our elders for crying out loud, do the right thing so that our future and the future of our generations unborn would be better. I remember in your meeting with our leader, his answer to you was that it is either you allow a date for the referendum or he will disgrace you to the whole world and Nigeria on 18th November by making sure no single person vote that day. So it will be better if you call out now to United Nations for the referendum and the election will be allowed or 'No Referendum, No election'. It is better to "Make haste while the sun shines". Please, my Fellow lovers of freedom, Ignore any false news against our leader because this is the fulfilment of his prophecy in 2014 when he said that there will be a time when Nations will rise and talk evil about him and IPOB activities in order to destroy the restoration of Biafra. What we should all remember is that our Leader is not an ordinary human being but a prophet of our time and that anything he says must surely come to pass. Our leader has not and will not change his mind about the Anambra State 18th November election unless a referendum is conducted in Biafraland. We are whiter than white and whiter than snow.